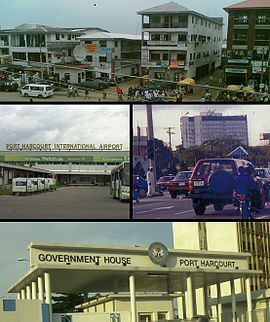 Port-Harcourt, Eleme Ikwerre, Obio/Akpor, Ogu/Bolo, Okrika, Oyigbo, Tai. 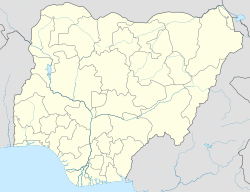 ^ The urban population is that of the Port-Harcourt Local Government Area's population. ^ The metro population is that of all the LGA's together. ^ Williams, Lizzie. Nigeria: The Bradt Travel Guide. Bradt Travel Guides. 2008: 200. ISBN 1-841-62239-7. ^ 2.0 2.1 Hudgens, Jim; Trillo, Richard. The rough guide to West Africa 4. Rough Guides. 2003: 1075. ISBN 1-843-53118-6. ^ Briggs charges LG bosses on performance. www.vanguardngr.com. Vanguard (Lagos), Thursday, April 24, 2008. [2009-04-15]. ^ Izeogu, C.V. Environmental Problems in Third World Cities. International Institute for Environment & Development. 1989: 60. ISBN 1-843-69072-1. Federal Republic of Nigeria Official Gazette. Legal Notice on Publication of the Details of the Breakdown of the National and State Provisional Totals 2006 Census (PDF). 15 May 2007 [2010-10-28]. ^ Nipost Postcode Map. Nigerian Postal Service. [2010-10-28]. （原始内容存档于2009-10-07）. ^ Williams, Lizzie. Nigeria: The Bradt Travel Guide. Bradt Travel Guides. 2008: 87. ISBN 1-841-62239-7.